New Look lace up knee boots. Oh, the quest for the perfect a/w boot. It's time to pack away those sandals girls, but don't be sad as the boots currently on the market are a delight. The choice is incredible and I'm finding it hard to choose just one! 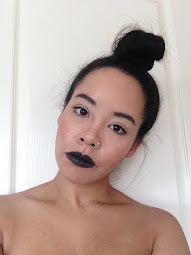 So i've put together a selection of a few of my favourite current pieces.. The high street is where you can find a myriad of different styles and prints for affordable prices. Patent, croc, lace-up, leopard, snake, fringing and more, it's all there on the high street. Brown suede lace up ankle boot. Black suede knee length boot with buckle. Brown suede knee length boot. Brown leather knee length boot. Black low heel knee length boot. Now, when I'm going for super high quality, I look nothing further than Jones Bookmaker. Slightly pricier than a few of the high street pieces, but these are more of an investment and will last you longer than a season. If you're looking for something classic, something that will suit any outfit and something that will last you for years to come.. Well, then look no further. You may also notice that I am a sucker for their suede pieces. So dreamy! 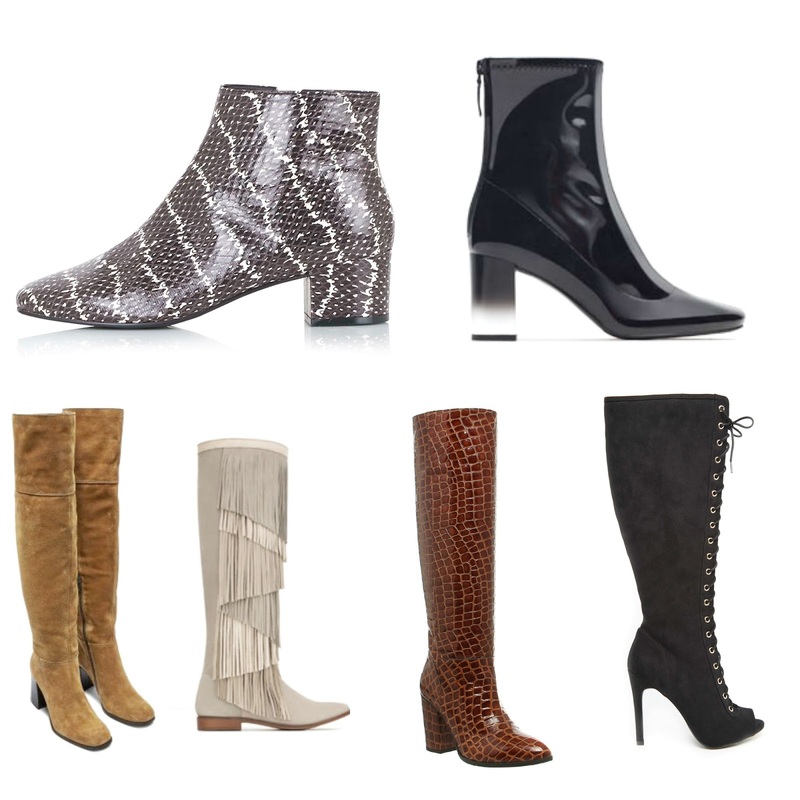 Have you bought your a/w boots yet? 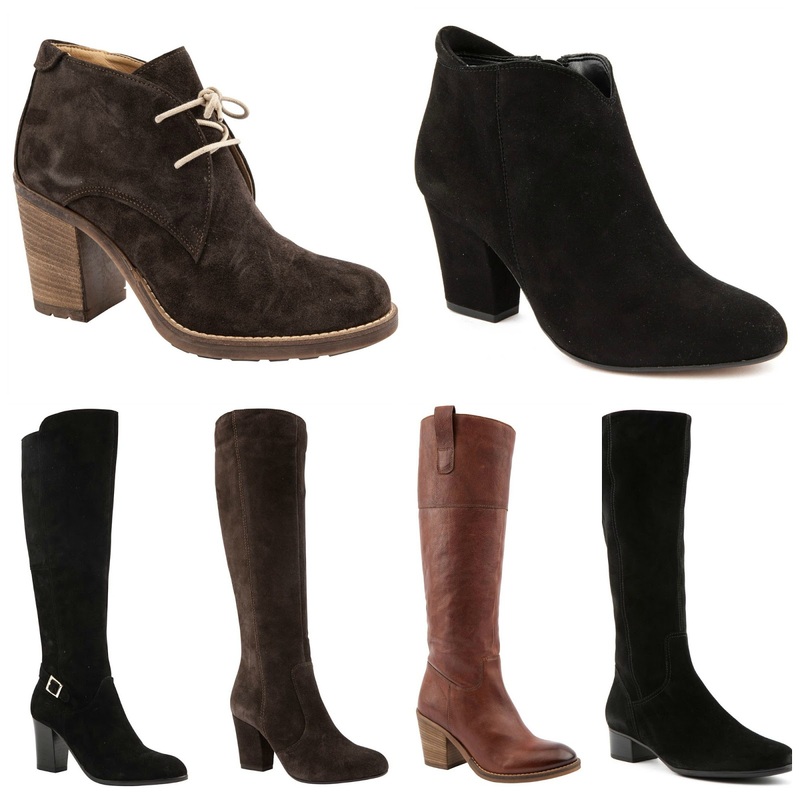 Boots are my favourite thing to wear during autumn or winter, my favourites are the ankle boots! The knee-high crocodile boots have completely stolen my heart - what striking boots for this time of year! Ah! I love this boot selection! Such excellent choices, it's hard to pick one! The grey fringe knee boots have stolen my heart!